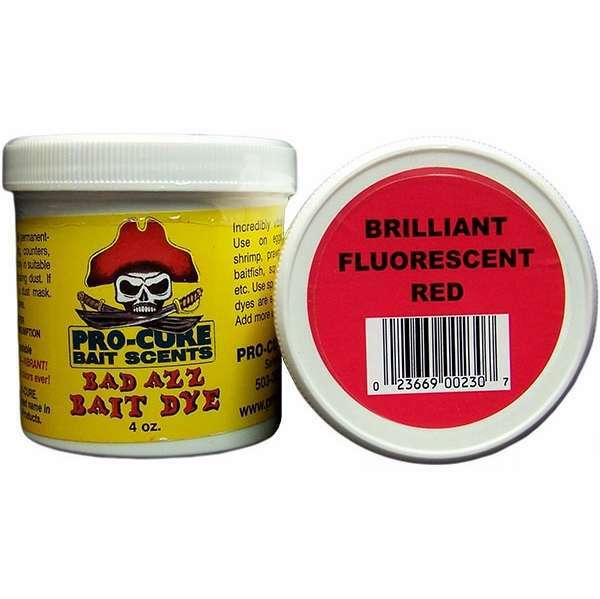 Pro-Cure Bad Azz Bait Dye is the perfect dye for big jobs. Whether you're dying a few dozen herring, ballyhoo, or 10 pounds of prawns, this is the way to go. Pure concentrated bait dyes go along way in dying large quantities of bait. In just a few years the brilliant Bad Azz fluorescent colors have become legendary. 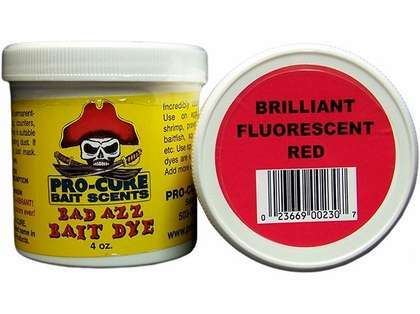 Pro-Cure Bad Azz Bait Dyes are recommended to be used in conjunction with Brine 'n Bite Bait Brine.